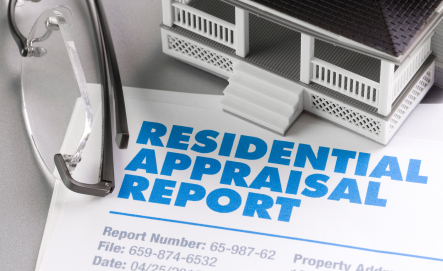 What can you expect in your appraisal report? - AKME Appraisals, *Divisions, Inc.
A Mortgage is such a large investment so for an appraisal report not to have all the data, to me -would be an over sighted shame. Please note: we will refer to residential properties here, however we use the same formats for our Multi-Family, and Commercial Reports. We analyze and report “the Price Range” taken from your immediate neighbourhood If your final estimated value falls outside of the price range, we immediately flag and complete further research to identify this reason. Although the client typically requires a minimum of 3 comparable recent house sold/s (typically all sold prices in “The Neighbourhood Price Range”) we also include additional sold comparable/s and active competing. We do this to cross check that we are competitive to the active competing and to identify that we are not undervalued. *As per most of the banks/relocation company’s request – we confirm that the data selected has sold within 90 days from list to sold date, unless otherwise stated or requested shorter or longer turn around times. We analyze the zoning to identify any potential future uses that could really help the property owners. There has been cases whereas homeowners were about to go into foreclosure. They had not realized that they could put in a legal apartment or had they realized that the NS government offers a $25,000 grant for adding disability and or senior housing. We include the zoning classification and the zoning allowable potential use/s. In addition, we request and analyze their current and historical assessments. This report is typically 4-5 pages and fully describes the property. We review this report to identify fairness. There have been times that we have found major errors. For example the property owner was paying for his neighbours garage. We simply advise (no charge) and typically errors like this can easily be assessment department cleared up. We include ample pictures with descriptions. There have been unfortunate incidents/disasters whereas Insurance company’s have been able to rely on our Appraisal Reports. We also include free letter of transmittals as we feel that it is best for all involved to give better freedom to “move” the appraisal to an alternative lender, when need be. Note in these cases we need to contact the client/s to confirm that they have completed and exhausted their attempt to assist you (ie finance). There are times they still get the mortgage approval, even after you have exhausted your patience. In reference to our inspections, we realize the anxiety of being judged especially in reference to the “Approval”. Our inspections include approx. 30 minutes – 1 hour so they don’t feel inspection time slighted. We appreciate the homeowners input, asking them to show us through their home – as they know there home better than anyone else. With your permission (and the client and or lenders) we will discuss and consult when needed. We really want to make sure our appraisal gives the benefits of helping the property owner better understand their property, historically, currently and going into the future. All of our findings are Exclusively Confidential to the Named Parties or with permission from you. For example we do NOT share our findings with the Assessment Department, Zoning Department – unless you instruct us to; we can NOT discuss your report. A Mortgage is such a large investment so for a appraisal report not to have all the data, to me -would be an over sighted shame.